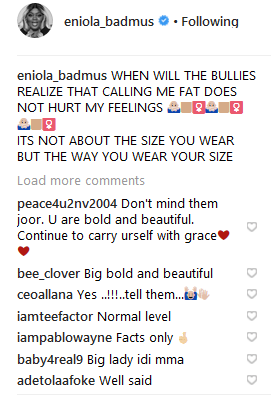 Nollywood actress Eniola Badmus has revealed some people still call her fat. That’s quite shocking tho. She however has a message for such bullies.